Yogyakarta is one of the most famous tourist destination in Indonesia. Yogyakarta also known as a cultural tourism. Many people come to Jogja just to enjoy the night atmosphere in the city of Jogja and its friendly culture. However, of course, it’s not complete without visiting some cultural attractions in Yogyakarta. So, here are the cool things to do in Yogyakarta Indonesia! Gedhe Kauman Mosque in Ngayogyakarta Hadiningrat Palace is the Great Mosque of Sultanate of Yogyakarta which’s still stands upright until now. This mosque is located on the west side of the Yogyakarta square. 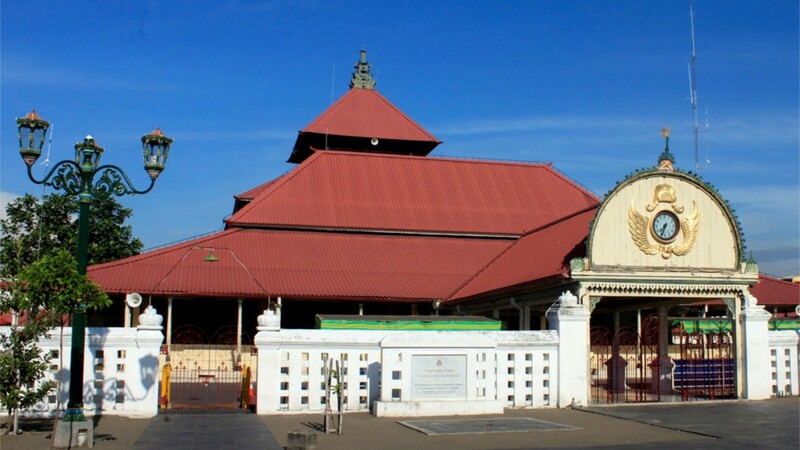 The Mosque was built by Sri Sultan Hamengkubuwono I and Kyai Fatih Ibrahim Diponingrat. Gedhe Kauman Mosque is a symbol of the Islamic Kingdom of Mataram in Yogyakarta. This mosque is the oldest mosque in Indonesia and has been there since 1773. By visiting this place, tourists can get a religious tourism experience as well as historical tours. The place is easy to visit and is also well known. To go to this mosque, you must traveled from Malioboro, then take the turn right (Jl.K.H Dahlan). You’ll find be the Kauman gate to enter in. 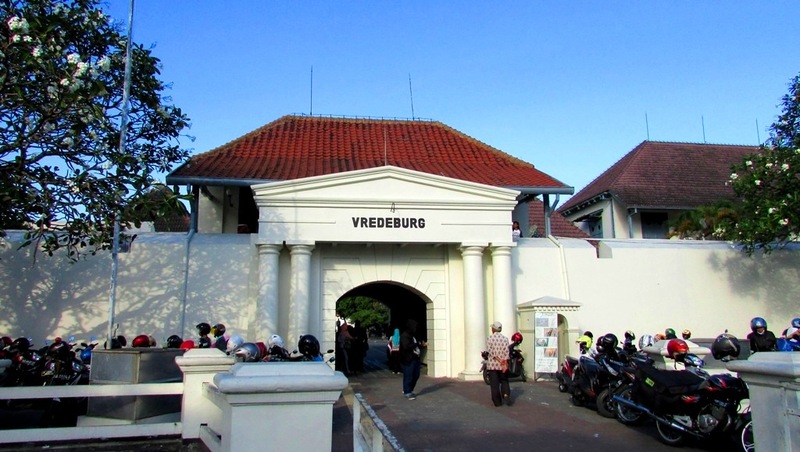 Vredeburg Fort is one of the historical and cultural attractions in Yogjakarta. This fort has a Dutch colonial architecture with clean white color. This fort is a national museum of Indonesia. Nowadays, this fort became one of the educational tourist destination that always visited by tourists who stop by in Malioboro. Many things can be found in this fortress, whether about things of art, culture, even the historical equipped with evidence of the nation struggle in ancient times. The museum is open everyday except Monday. The position is not far from Malioboro and also near from Sultanate Palace of Yogyakarta. If you visit the Fort from Malioboro, you can walk along or ride the Trans Jogja to get here. Perhaps many people are wondering about this type of traveling. However, Imogiri Tomb, Yogyakarta is different. It’s a cultural tourism that gives us its own impression. Imogiri Tomb is one of the historic graves in Yogyakarta, it’s a burial complex of the Kings of Mataram and his descendants. Imogiri tomb has been in Yogyakarta since 1632 – 1640 AC and was built by Sultan Agung Adi Prabu Hanyokrokusumo. He is the third Sultan of Mataram and is a direct descendant of Panembahan Senopati. To enter the cemetery area, tourists must wear traditional clothes. For men will usually be given black or dark blue base cap or called by jarit. For women, it’s usually will be given a kemben and not allowed to wear any jewelry. It’s known as Gedung Agung Yogyakarta. The location of this destination is on Jalan Ahmad Yani and not far from Malioboro. Gedung Agung is located in the center of Yogyakarta city with approximately 43,585 square meters area. The main building of this palace complex began to be built in midyear of 1824 by Anthony Hendriks Smissaerat as the 18th Yogyakarta Resident (1823-1825), and the architect name is A. Payen. 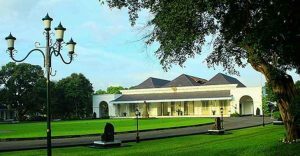 The building also has its own history, which was the presidential palace of Indonesia when Yogyakarta was appointed as the capital of Indonesia. Cultural tourism in Yogyakarta that’s so quite famous is Kotagede. Kotagede is a name of an area that located in Yogyakarta. 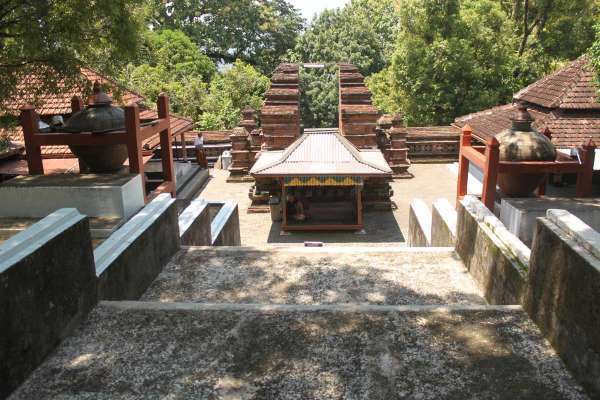 Kotagede has many historical stories, especially those related to the Islamic Kingdom of Mataram. It’s named as Kotagede cause it used to be a small village that abandoned by its people and became a forest. After that, Ki Gede Pemanahan rebuilds this area as his authority which is given by Sultan Hadiwijaya. Then the area is getting crowded so it called as Kotagede or a big city. Now, there are also many silver and batik craftsmen who can be visited here. 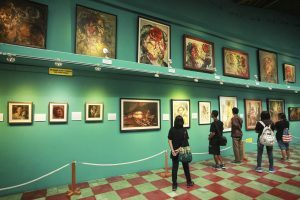 Affandi Museum is actually the residence and painting studio that owned by Affandi. Affandi himself is a famous painter in Indonesia. The location is on Jl. Laksda Adisucipto and quite easy to visit, you can also ride the Trans Jogja to get here. Affandi Museum is open daily from 9 am to 4 pm. 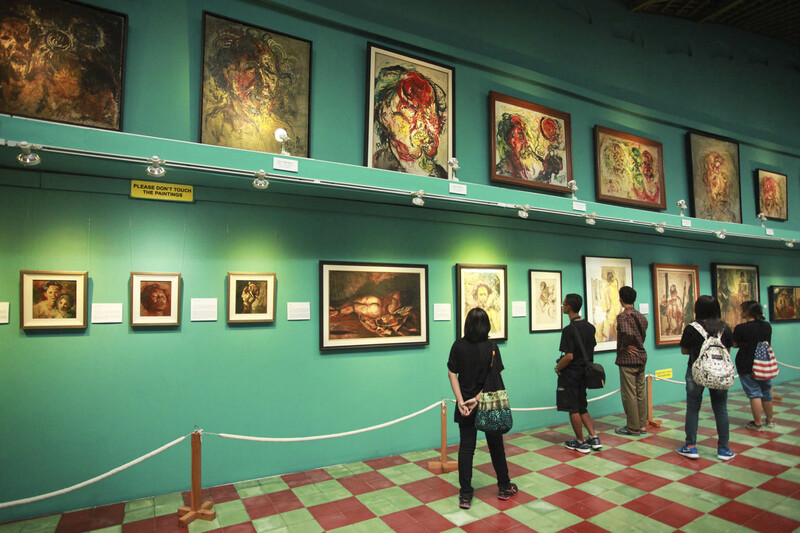 In this museum, tourists can also enjoy the paintings by Affandi and other painters. The artwork in this gallery will surely make you amazed. Tourists can also go to the tower and watch the entire building. There is also Café Loteng that can be visited by you for eat while enjoy the atmosphere around the building. De Mata Trick Eye is a museum that has some collection of 3D images. The visitors can see about 120 images and 3D painting in varying size. In fact, some images even have a size of 5 meters. 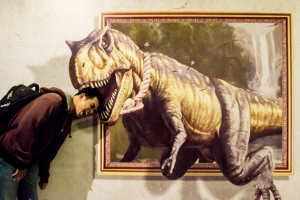 This museum is the first 3D museum in Yogyakarta. The 3D image collection here is divided into several types, including circus, romance, superhero, ornament, animal, sport figure, landscape, etc. Tourists can be freely take photos as fun as possible. This museum is located in Basement XT Square and open every day from 10 am to 10 pm, and the ticket price is only Rp 50,000 per person. What a cool things to do in Yogyakarta Indonesia! The building called as Kolong Tangga Children’s Museum cause it’s located under the stairs of concert hall Taman Budaya Yogyakarta. 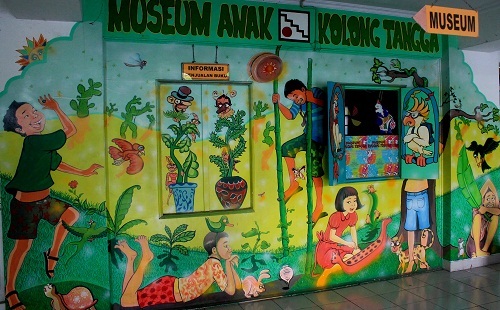 It is the first toy museum in Yogyakarta and also the first one in Indonesia. At least there are more than 10,000 collections in the museum, consist of pictures, story books, toys, posters, and other. The collections here are derived from Indonesia and some are from other countries. There are also some handmade traditional toy with elements of tradition, culture, and even certain myths. Some types of toys that can be found here are kites, wooden motorcycle toys, miniature of houses, rock horses, and much more. Those are some of the cultural attractions in Yogyakarta that can be visited for people who really love the culture, history, and art of the Indonesia in Yogyakarta. How’s that cool things to do in Yogyakarta Indonesia? Have a nice holiday and hopefully this information useful for you, guys!